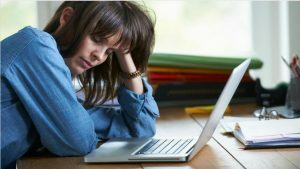 Short Sleepers: Naively Exhausted or Different Processors? Posted October 9th, 2016 by Mike Boyes & filed under Consciousness, Health Psychology, Learning, Memory, Neuroscience, Psychological Health. Description: Do you know anybody who claims they can get by on significantly less than the average amount of sleep but other people get (say for example that need less than six hours sleep a night)? Assuming you believe them, how in fact are they managing on significantly lower amounts of sleep than everybody else? Leaving out those people who are simply too stressed to sleep and who show signs of sleep deprivation on an ongoing basis while they are awake it does seem like there some people do seem to manage unless sleep. How do you think they might be doing this? After you’ve thought about it have a look at the article linked below and see if what it has to say based on recent research in this area fits with any of your hypotheses. Source: The Truth About People Who Brag They Don’t Need Much Sleep. The authors of the research article discussed in the linked media article above suggest a couple of interesting things that might be true of people who seem to comfortably get by on less sleep than the rest of us. In a way that somewhat alarming it appears that they may take a short one or two minute naps during the day whenever things get slow and boring and to potentially not be aware that they’ve actually been asleep. So for example the time they spent lying in the fMRI machine as part of their participation in the study being discussed in this article typically involved one or more of these one or two minute micro naps which participants would not acknowledge having been aware of once they come out of the fMRI machine. This observation raises a couple of interesting questions. First, is there a clear functional purpose to these micro naps above and beyond simply being exhausted? Second, are there other aspects of how short sleepers accomplish sleep-related cognitive tasks that would be useful and interesting to know about? It appears the answers to both of these questions is yes. Brain scans reveal enhanced connectivity between areas of the brain managing short-term memory and regions were long-term memories are stored in the brains of individuals who are short sleepers. This might indicate that short sleepers are able to use these micro naps as opportunities to process information in short into long-term memory and that they do so more efficiently than do longer sleepers. It also might mean then that the areas of the brain responsible for keeping them in awake and alert states are over functioning relative to the same areas of the brains of longer sleepers. Finally, in might actually mean that when it comes to laying down for a night’s sleep they do in fact need less of it than do longer sleepers. Of course, as always, further research is necessary to sort these hypotheses out. Does it make sense to say that all short sleepers are in fact constantly sleep deprived? What might be the purposes of the micro naps that short sleepers appear to take during the course of the day when things get quieter boring? What are some of the other brain related issues and functions that might be different in the brains of short sleepers as opposed to those of longer sleepers? Curtis, B. J., Williams, P. G., Jones, C. R., & Anderson, J. S. (2016). Sleep duration and resting fMRI functional connectivity: examination of short sleepers with and without perceived daytime dysfunction. Brain and Behavior. Whitehurst, L. N., Cellini, N., McDevitt, E. A., Duggan, K. A., & Mednick, S. C. (2016). Autonomic activity during sleep predicts memory consolidation in humans. Proceedings of the National Academy of Sciences, 201518202.